If you’ve been convicted of DWI in any state in the previous ten years, including a “wet reckless” conviction in California, the minimum jail sentence, DUI school attendance, and license suspension period are increased. With two convictions in the previous ten years, the penalties are further “enhanced.” Three prior DUI convictions in a ten-year period will result in a felony charge for a fourth offense and probable prison time if convicted. If you refuse to submit to chemical testing, your jail sentence and license suspension will both be lengthened. You will receive an enhanced penalty if you are stopped for DWI while driving 20 mph over the speed limit on a surface street or 30 mph over the limit on a freeway. You will also receive an enhanced penalty if you are stopped for DWI with an individual under the age of fourteen in the vehicle. 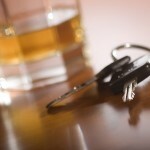 If you injure someone while driving under the influence, your DWI will probably be charged as a felony. DUI sentencing enhancements are numerous, and the state of California is serious about imposing them on convicted offenders. 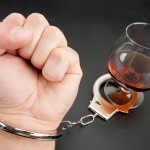 If you are charged with DWI anywhere in the southern California area, get help and consult at once with an experienced Orange County DUI defense lawyer.